The EVH Wolfgang WG Standard is decked out for playing performance and comfort. 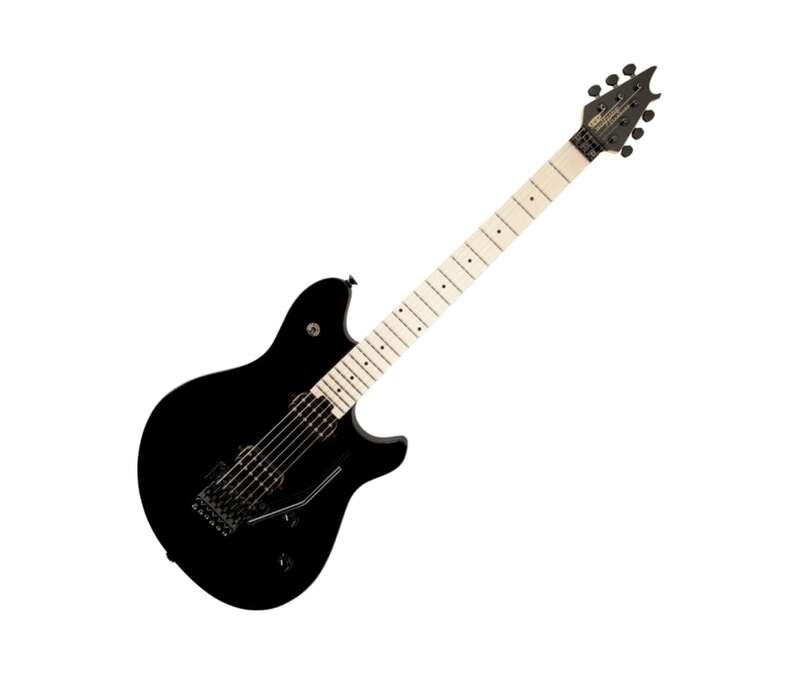 This model contains many of the same blazing features as its more expensive brethren - a one-piece bolt-on maple neck with graphite reinforcement rods holds strong against the ravages of temperature and humidity and a speedy 12"-16" compound radius maple fingerboard with comfortably rolled edges and 22 jumbo frets. Dual EVH Wolfgang humbucking pickups mounted directly to the body increase vibration transfer, resulting in sustain for days on end. Two domed control knobs have been dialed-in to Van Halen's exacting specifications - the smooth-feeling 500k pots make it easy to find a unique sound while retaining the crisp high-end sparkle of the EVH Wolfgang pickups. The EVH-branded Floyd Rose Special bridge and R2 locking nut consistently stay in tune through the deepest whammy dives and horse whinnies.